There are many cases in which service technicians need to use software for maintenance or repair jobs out in the field. 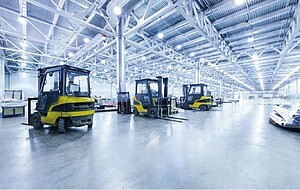 Forklifts, operating room (OR) equipment, or automatic teller machines (ATMs) are just three of the countless examples. But service software comes jam-packed with invaluable know-how that needs to be shielded from those who have no legal claim to it. This can be the software itself or text and multimedia documents. CodeMeter is the perfect choice for all of these use cases. 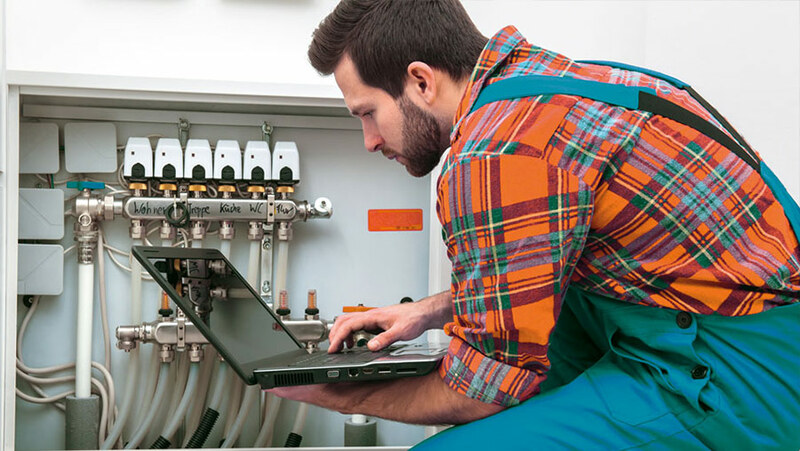 One of the top reasons for choosing CodeMeter for service technicians is the ability to shield vital know-how from the prying eyes of competitors. They would be prevented from digging into the inner workings of software or accessing documents that can save them costly development time. With company secrets closely guarded in this way, competitors have no way of exploiting possible weaknesses when trying to poach clients. By encrypting software with CodeMeter Protection Suite and protecting documents with SmartShelter PDF, CodeMeter stops all unauthorized access and illicit analysis. Many companies restrict services to only properly qualified and certified professionals. Their certification can be limited to a certain period of time before it needs to be renewed. One feature that CodeMeter can deliver is control over who gets to access the software needed for service jobs. CodeMeter can be used to apply different types of access rights for different licenses. Service technicians could then be assigned a license for the works they are qualified for, which could even be limited to a specific time. This guarantees that only properly trained professionals can conduct such works while their certification remains valid. The makers of devices or machines would often prefer to keep all technical services limited to their own specialists. This can be an essential part of their business models. However, lawmakers are often calling for a liberalization of the market to include service partners or even direct competitors. CodeMeter gives you effective controls over the access they can have. You know who works on your devices or machines, and you decide whether to restrict this to qualified and certified professionals or require them to buy your service software. Industrial espionage by disgruntled former or current employees is a factor too often underestimated. Client data, software, templates, draft contracts, or blueprints are just some of the typical targets for theft or tampering. As with its protections against unscrupulous competitors, CodeMeter again offers an opportunity to encrypt data and software. They could then only be used if the right license is present; decryption is only possible for a defined period of time. After that open period has passed, the data becomes worthless for whoever has access to it. By binding the license to a named employee’s workstation, it becomes even harder to pass on the license without authority. There can be use cases in which an incorrectly configured machine can have fatal consequences. 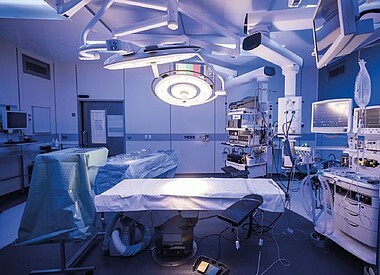 OR room equipment or a dialysis machine are just two obvious examples, but even in less life-threatening cases, tampering with the settings can lead to waste or increased wear and tear. This could be a poorly calibrated dental milling machine or the incorrect maximum RPM of a wind turbine. To forestall any debates about warranties, CodeMeter allows the settings and calibration of equipment to be restricted to certified service technicians. CodeMeter is also the solution of choice for cases in which the user or service technician must be able to configure the settings themselves. A CmDongle can be used to identify who changed any of the settings. A tamper-proof log is kept to record the changes and the person who authorized them. A CmDongle with flash memory can also be used to record the logs in an area that only specially authorized software can read. This shields the logs against accidental or deliberate deletion by the user or a virus. 2-Factor Authentication Highly sensitive use cases, such as ATMs, can demand two-factor authentication: possession and knowledge. The service technician would need to be in possession of a CmDongle and know the password for the CmDongle. Both are needed to start the software and provide the required services. Highly sensitive use cases, such as ATMs, can demand two-factor authentication: possession and knowledge. The service technician would need to be in possession of a CmDongle and know the password for the CmDongle. Both are needed to start the software and provide the required services. One of the two factors making CodeMeter an effective choice for service software and service documents is the option to encrypt data with a key bound to the license. Only a service technician who has the right key can access the software and documents, decrypt them, and use them for his work. CodeMeter offers a granular selection of different rights and entitlement levels. CmDongles or CmActLicenses bound to a specified device provide solid and protected key storage for this purpose. The second critical factor is the issuing of automatically renewals. These are created via CodeMeter License Central and collected by the service technician. As the issuer, you limit them to a specific period to reduce the risk of licenses falling into the wrong hands. Your software regularly checks back with CodeMeter License Central to renew the license automatically in the background. This would mean that a service technician who stays online will always have a fully usable license. If a license is lost in the field, it is locked in CodeMeter License Central and expires automatically. 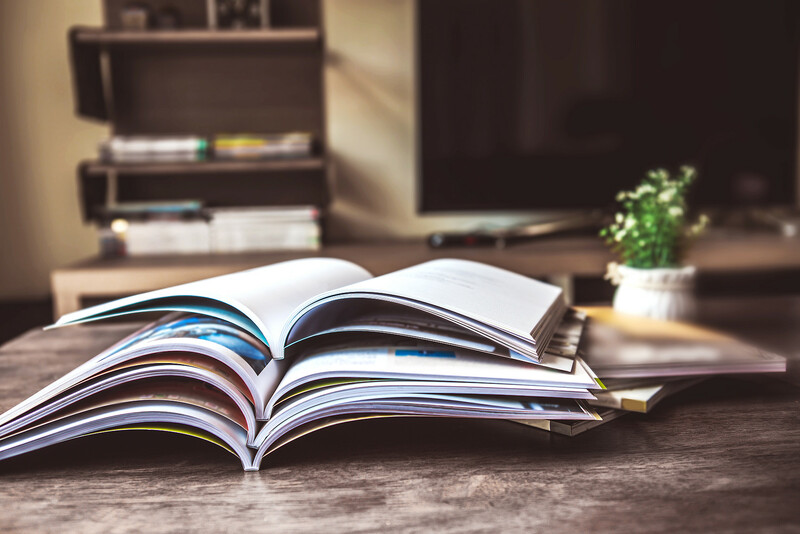 Changes like new rights for new documents or features can also be rolled out in the background in this manner – or withdrawn if need be.